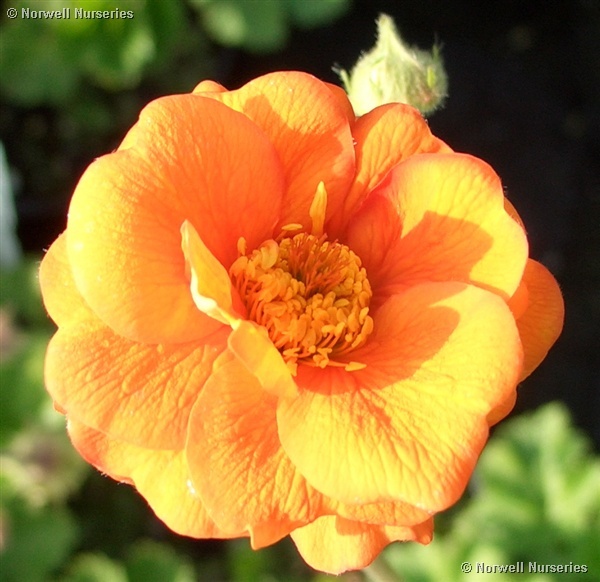 Geum 'Prince of Orange' Rarely seen is this flamboyant, large flowered semi- double orange Geum. Always asked about during its long flowering period. Holds its head well, above the rosette of foliage.